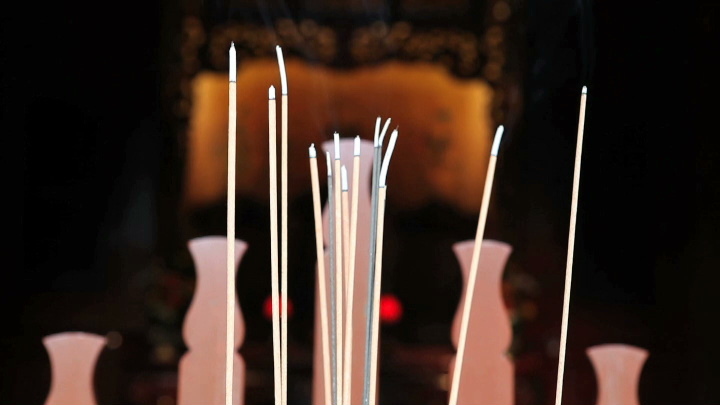 1) Burning sticks of incense in a temple in central Taipei. 2) A red lantern in the same temple. 3) The façade of a beauty salon situated near the temple. Wind is the connecting element of the three films. It sways the smoke from the sticks of incense; in the film opposite, it is wind that lets the lantern slowly rotate; and in the third film, projected between the temple films, wind vibrates the countless tiny glittering spangles which decorate the façade. 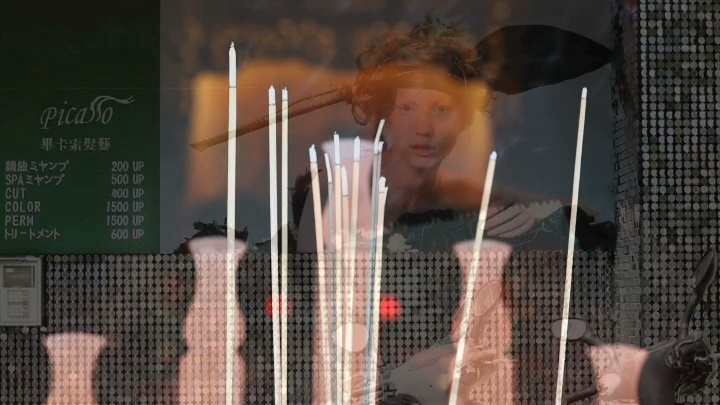 For the European, the Western observer, incense gradually consumed by fire can be seen as a Vanitas symbol that metaphorically indicates a linear expiration of time and history. 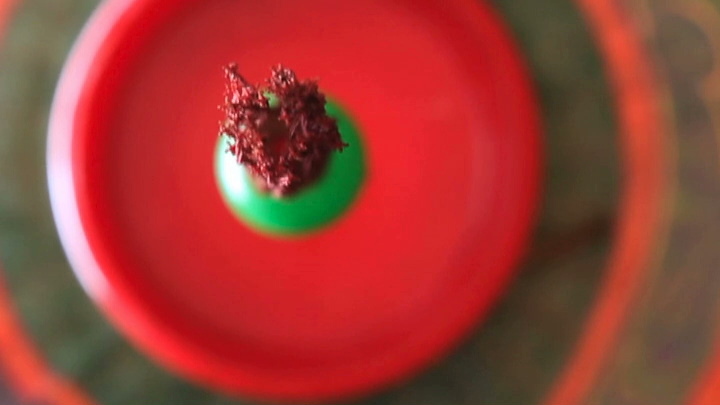 The repeated circular, swinging motion of the red lantern could be suggestive of an Eastern perception of time. In the third film, however, time seems frozen in the present. 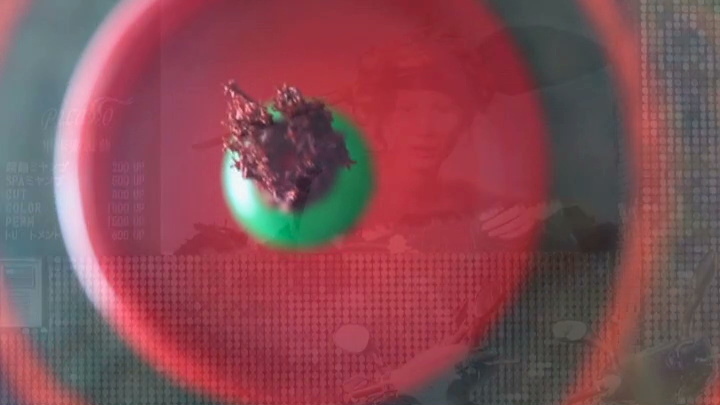 The video-sequence has characteristics of a photograph: the wind produces only a “motionless” clinking and sparkling transfixed throughout the thousand spangles. East and West converge in this sequence, Arabic numerals and words written in English stand next to Chinese characters on the hair-dresser’s shop called “Picasso”. The likeness of an androgynous youngster with shaggy hair recalls Caravaggian models. 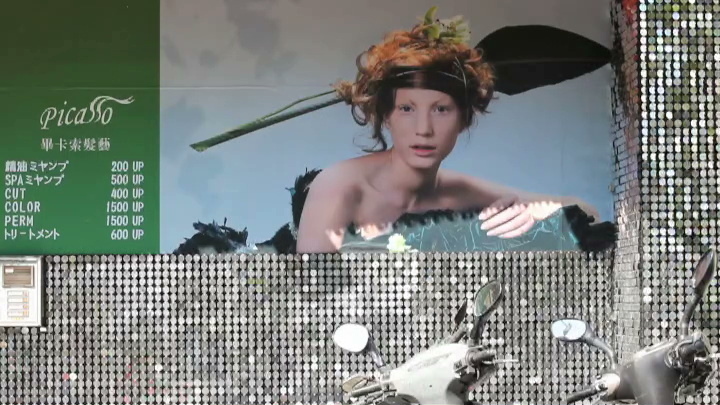 In the foreground of the sequence, an electric door buzzer connected to an intercom and the handlebars of two parked motorcycles, icons of Western lifestyle and the Western passion for acceleration, emphasize the collision of cultures. In the Taiwan Trilogy, Eastwind – Westwind*, religious worship and body worship, Eastern and Western patterns of thought stand in confrontation to one another, but perhaps also in a kind of neighbourly balancing act.